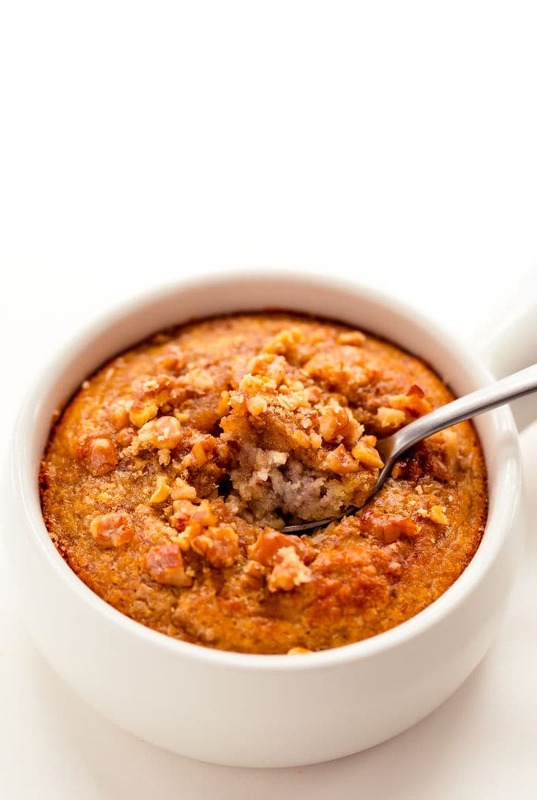 This healthy banana mug cake recipe is the perfect way to quickly satisfy your sweet tooth. 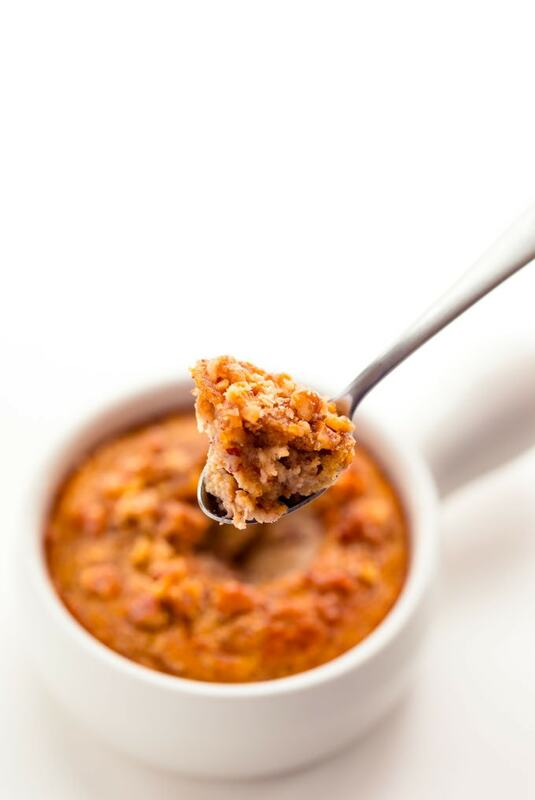 This easy single serve dessert can be made either in the microwave for a simple 2-minute treat or in the oven. 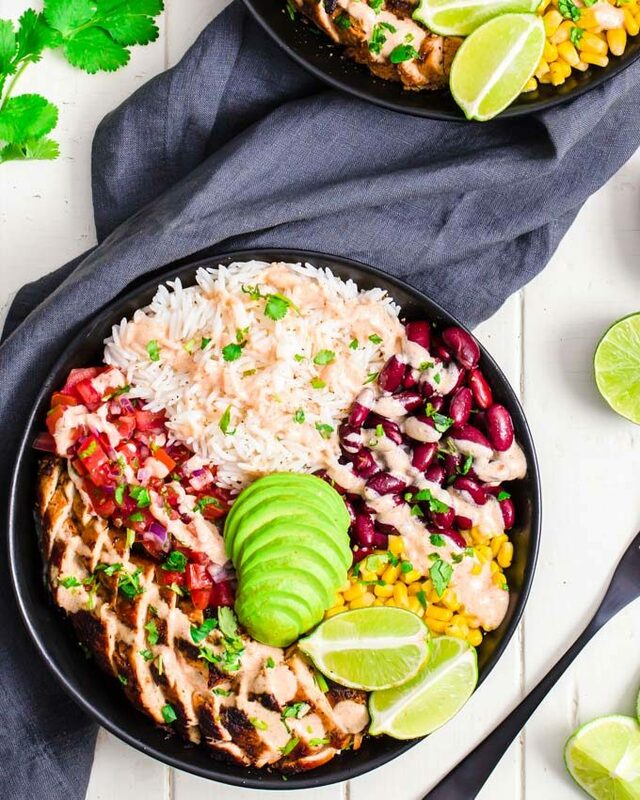 This recipe is gluten-free, grain-free, paleo and dairy-free. Vegan, whole30, and protein options also available! Banana cake. In a mug. Ready within the next 2 to 3 minutes. Need I say more? Oh yeah, it’s healthy. Too. I knew I’d grab your attention. 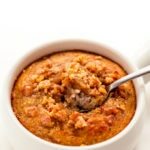 Like my 3-ingredient protein mug cake, this recipe is so simple and delicious it really feels like I’m cheating or something. Really. I’d lie to you, though, if I did not tell you I’ve made this recipe at least 8 times before I came up with the perfect combination. My ultimate goal was to create a recipe that would taste exactly like that banana nut cake my grandmother used to make when I was a kid. Except that I wanted my version to be 100% healthy, of course, and ready in 3 minutes. Though the microwaved version is excellent, I suggest you try the conventional oven option at least once, If you’re not too short on time. It’s impossible to make a perfect cake in the microwave. The oven version just tastes better, for obvious reasons. Start by melting 1 tbsp coconut oil in a small saucepan on the stove or directly in your mug, in the microwave. Do NOT overheat the coconut oil as it may burn the rest of your ingredients when incorporated. Meanwhile, mash a large ripe banana until there are (almost) no chunks left, using a fork or a hand mixer. 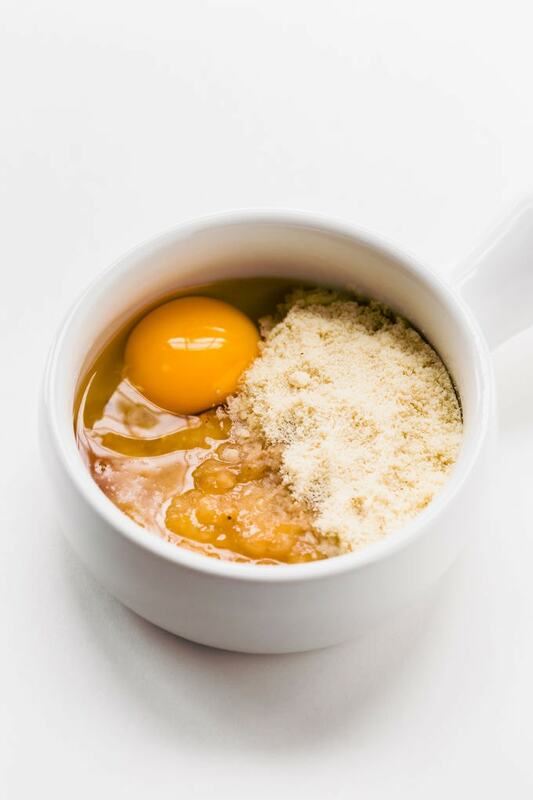 Mix all of the ingredients together in a large mug and whisk vigorously. Alternatively, you could stir the ingredients in a large mixing bowl. 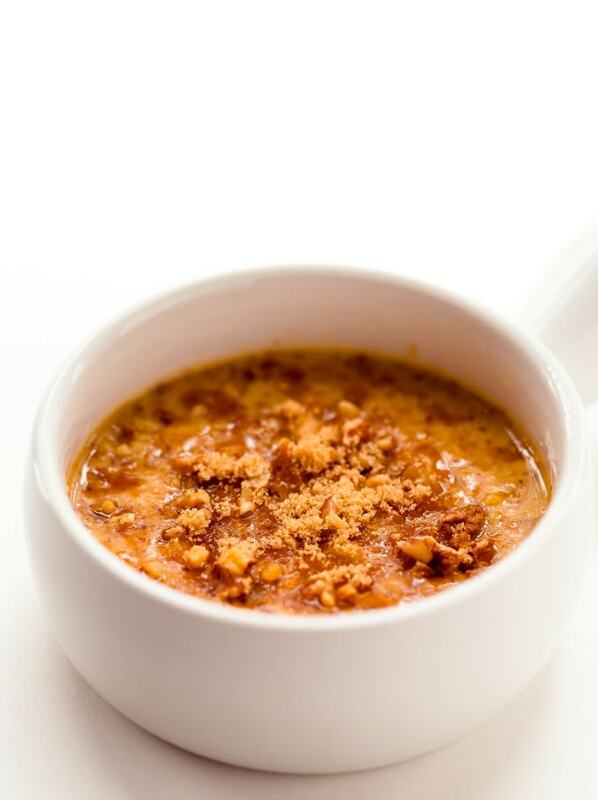 Optional: Top with chopped walnuts and coconut sugar. Now. You could either microwave your banana cake for 1 to 2 minutes or be a little more patient and use the oven instead. I personally prefer option number 2, but if you want your cake ASAP (lol, I get those cravings too! ), a microwave is perfectly fine. Depending on the size of your mug, you might have to split the recipe into two mugs and keep the second one for later. Wait… What am I saying? Screw it, just have them both right now! Your mug cake will rise quickly. Don’t fill the mug up to the top, leave some free space (at least 3/4 inch), or your cake will spill out of the mug. For the conventional oven option, please make sure your mug is oven safe. 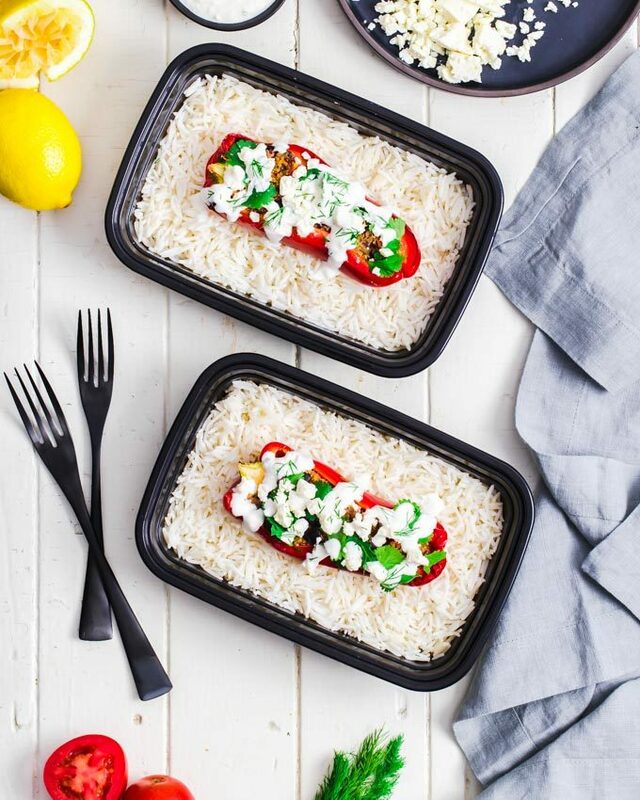 You could also use a muffin pan or a French onion soup bowl. Also, don’t forget to add 1/2 tsp baking powder to the cake batter. Sprinkle some coconut sugar or organic cane sugar and chopped walnuts on top. Trust me, you want to do this. That mug will be hot, don’t burn yourself by rushing it out of the microwave. Sugar craving frenzy is a thing you know. It tends to make you temporarily stupid, keep a piece of cloth/oven mitt nearby! I mean it. Can I add some protein powder? Sure! Simply replace 1 tsp vanilla extract with 1 scoop of vanilla whey protein powder. 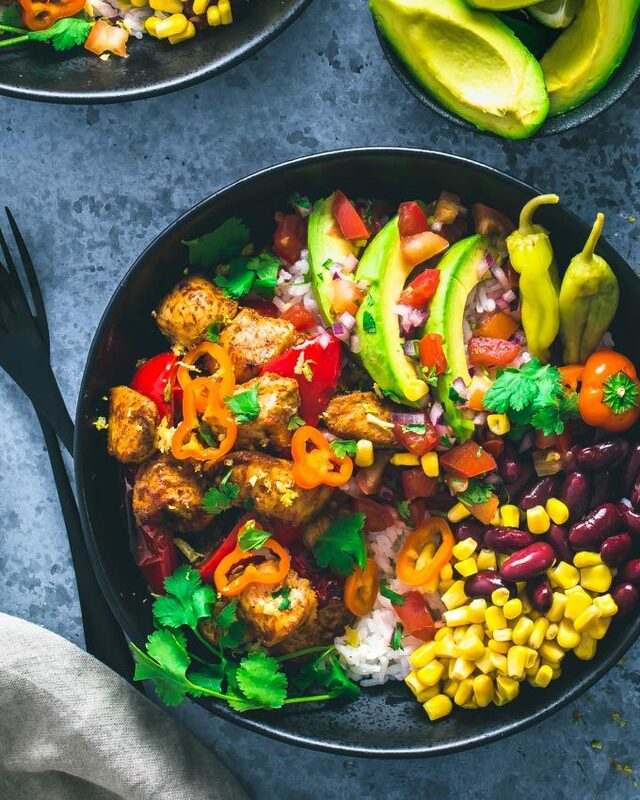 I would not recommend using plant-based powder as this type of protein absorbs a lot more moisture and the recipe would have to be modified accordingly. Should I make my mug cake using the microwave or a conventional oven? It’s up to you. The microwave option is super tasty and quick, but the oven option tastes better in my opinion. Not because there is anything wrong with the microwave option, but simply because a cake will always taste better out of the oven. 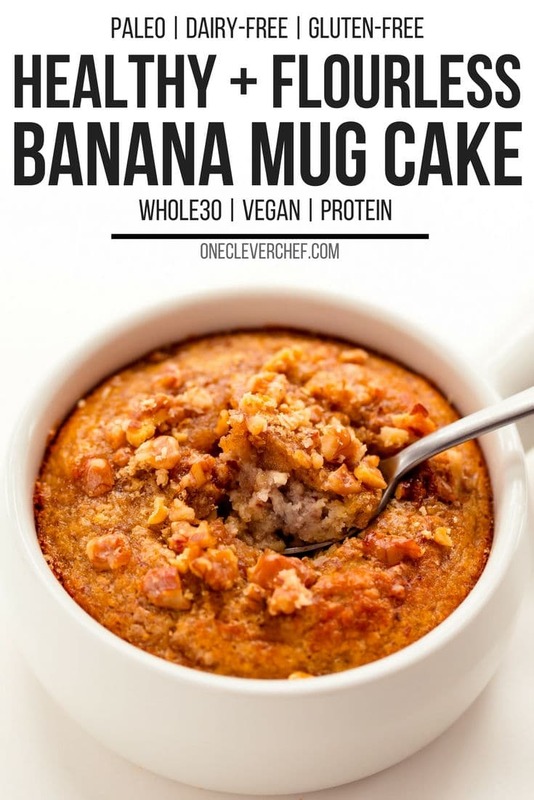 Can I eat this banana mug cake recipe for breakfast? Sure, why not?! This recipe is 100% guilt-free and goes along sooooo well with a delicious cup of coffee. But, can I make a mug cake without flour? Yes, absolutely! Traditional all-purpose flour can be replaced with almond flour on a 1:1 ratio in most recipes (except for bread or any other baking recipe where gluten is mandatory). Can I bake this mug cake in the oven? Yes, mug cake recipes are totally oven compatible. Simply add 1/2 tsp baking powder and bake for 20 to 25 minutes. A toothpick inserted in the center should come out clean. 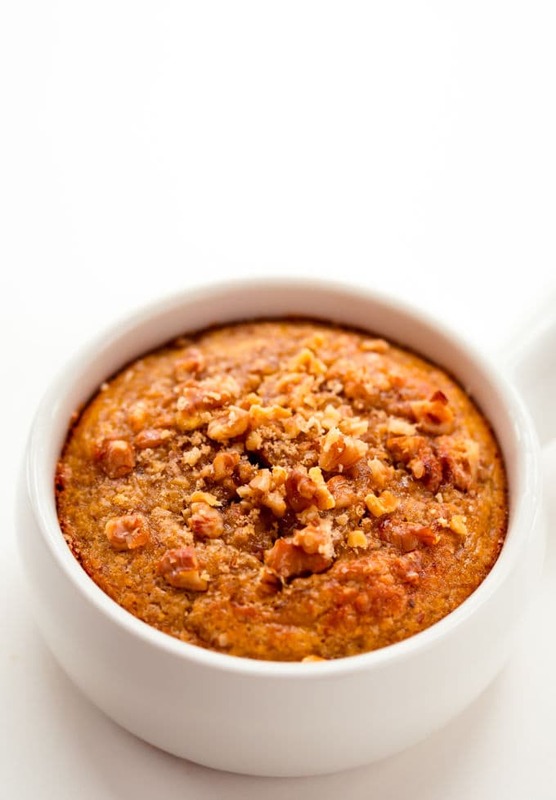 Can I make this mug cake in a bowl instead? Yes, as long as the bowl you are using is oven safe and not too large. 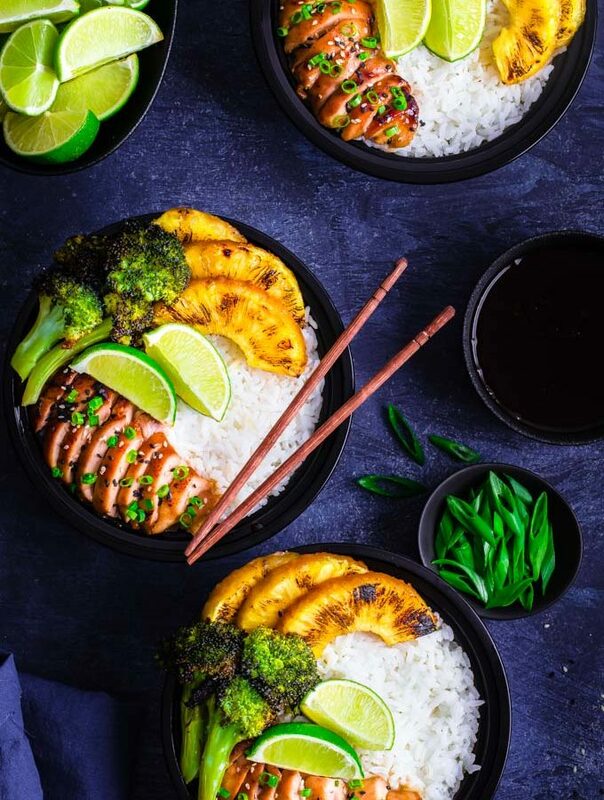 You could also use a muffin pan or a French onion soup bowl. 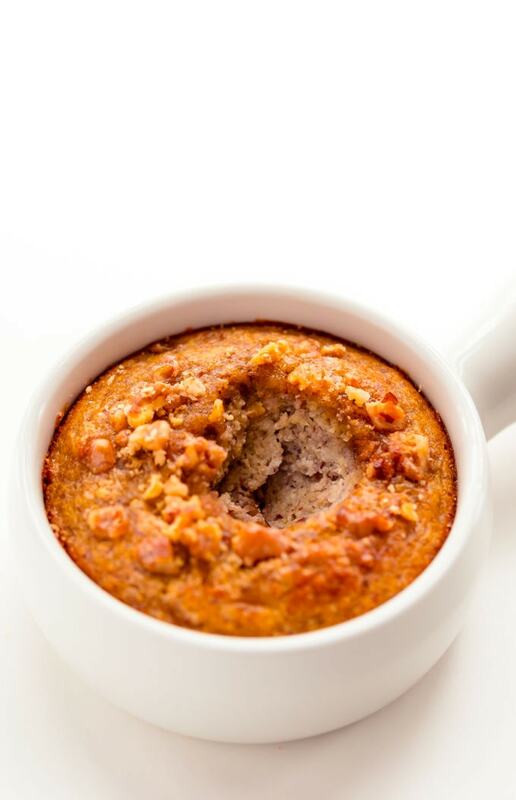 This healthy banana mug cake is entirely gluten-free, paleo, grain-free, and dairy-free. This delicious single serve dessert can also be made whoile30 and vegan. Whole30 option: Do not use maple syrup or coconut sugar. Replace vanilla extract with whole30 compliant vanilla bean flavor or simply skip this ingredient. Protein-rich option: Replace 1 tsp vanilla extract with 1 scoop vanilla whey protein powder. Meanwhile, mash the large banana using a fork or hand blender. Mix all of the ingredients (but keep 1 tbsp chopped walnuts for topping) in a mixing bowl or directly in the mug and whisk. Optional: Sprinkle with 1 tbsp chopped walnuts and a pinch of coconut sugar. Microwave for 1-2 minutes or until a toothpick inserted in the center comes out clean. Don't forget to add 1/2 tsp baking powder. Bake for 20-25 minutes at 350F or until a toothpick inserted in the center comes out clean. Oven option: Add 1/2 tsp baking powder. Low-carb option: Do not use maple syrup. Vegan option: Use one flax or chia egg instead of the large egg. Protein option: Replace 1 tsp vanilla extract with 1 scoop vanilla whey protein powder. Nutrition Facts calculated using the base recipe. Awesome Whole30 breakfast idea !